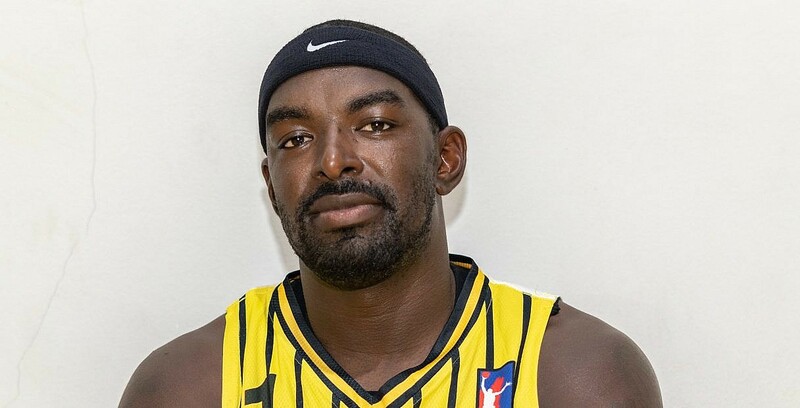 There were some crucial games played this past weekend in the National Elite Basketball League (NEBL) that carried serious playoff implications. With only two weeks remaining in the NEBL regular season a few more games will decide which 4 teams will advance to the three-game semi-final series. On Friday night Belize City Defenders hosted Griga Dream Ballers at the Civic Center in Belize City in a much anticipated game that carried huge playoff implications. Griga Dream Ballers are riding a nasty 2 game losing streak while Defenders are at the #5 seed, looking in. The road team jumped out to an early 27 – 22 lead at the end of the first quarter, extending that lead to 8 points at the half, 48 – 40. The lead ballooned to 10 points by the end of the third quarter, but the home squad, behind their load fans and sharp shooting were able to tie the game with a huge three pointer with less than 30 seconds remaining on the clock. However, the excitement was short lived as Daniel Conorque demonstrated both strength and confidence, hitting the game-winning shot on the opposite end of the floor to give Griga Dream Ballers the 83 – 81 victory and a spot in the playoffs. Griga was led by Jamal Kelly who had the game high with 27 points, while Daniel Conorque tallied 17 points, 5 rebounds and 5 assists. Delvon Henderson notched another double-double with 13 points and 12 rebounds and late season addition, Ray Cruz, netted 13 points. Defending MVP, Nigel Jones was the top scorer for Belize City Defenders with 21 points, while Mykiel Tzul tallied 19 points, 4 assists and 4 steals to go with 5 three point shots made and Gregory “Chippy” Rudon chipped in 11 points. Verdes travelled up north on Friday night to take on the Orange Walk Running Rebels at the Orange Walk Multi Purpose Complex in Orange Walk Town. A Verdes win complemented by a Dangriga loss would give Verdes the #1 seed going into the playoffs, while Orange Walk is trying to secure their footing as they look to build for next season. The home squad jumped out to an early 26 – 22 lead at the end of the first quarter, extending the lead to 45 – 36 at intermission. With upset in the making, Orange Walk Running Rebels maintained the surge with a 61 – 56 lead going into the fourth and final quarter. By mid fourth quarter Verdes was able to put together consecutive offensive positions to grab a 10 point lead which they were able to secure, stealing the 87 – 76 win and extending their winning streak to 8 games. Verdes was led by their captain, Richard Troyer who knotted 19 points and 4 rebounds while Kris Frazier tallied 12 points and 6 rebounds. Tyrone Hall finished the game with 11 points while Andrew Ortiz and Elvis Usher Jr. netted 10 points apiece. In a losing effort Isaiah Thomas had the game high with 25 points, while Roger Reneau tallied 17 points, 4 rebounds, 3 steals and 3 assists and Julien Travis finished with 16 points and 8 boards. On Saturday night San Pedro Tiger Sharks hosted Belmopan Bandits at the San Pedro High School out on the island. A win will keep their playoff hopes alive while Belmopan can only continue as spoilers since their playoff hopes have already been dashed. San Pedro had a 22 – 15 lead at the end of the first quarter and by intermission the game was already a blow out as Belmopan trailed by 21 points going into the half. San Pedro was able to maintain this huge lead during the remainder of the game, cruising to an easy 104 – 68 routing of Belmopan Bandits. San Pedro Tiger Sharks was led by Martevious Adams who tallied 19 points and 7 rebounds, while Douglas Valley sank 13 points, Winston Pratt netted 12 points and Raheem Baptist and Francis Arana scored 11 points each in the win. In a losing effort Kyle Pascasio had the game high with 21 points, while Kevon Lourie scored 14 and Brandon Flowers netted 10 points to go with 7 rebounds. Mirage/Smart Belize Hurricanes travelled down south to the Russel Chiste Garcia Auditorium in the culture capital to take on Griga Dream Ballers. Both teams are in need of a win to get some separation in the playoff standings while this game exhibited one of the biggest rivalries in the NEBL. The home team was able to grab a 21 – 18 lead at the end of the first quarter, which they extended to 4 points, 38 – 34 going into intermission. This small lead of 3 points was maintained at the end of the third, 48 – 45, as Belize Hurricanes remained in striking distance throughout the entire game. The packed Russel Chiste Garcia Auditorium, with its props and fan base keeping the arena racing from one end of the court to the other, waited in anticipation to see if their home team could pull off 2 consecutive close victories. Key shots down the stretch gave Griga Dream Ballers the 66 – 60 victory. Griga was led by Daniel Conorque who tallied 21 points, 9 rebounds and 8 assists while his comrade almost finished with a triple double as well, as Delvon Henderson’s stats line included 14 points, 8 rebounds and 6 blocked shots. Jamal Kelly finished the night with 12 points, 5 rebounds, 5 dimes and 2 steals while Edgar Mitchell tallied 7 points and 6 assists. In a losing effort only captain Akeem Watters was able to scratch double digit scoring for the visiting squad with 10 points to go with 6 rebounds. Glency Lopez and Shannon Fowler scored 9 points each while Raheem Thurton, Devin Daly and Eyan Rene netted 8 points apiece. Verdes (9 – 1) – has clinched a playoff berth and can clinch the #1 seed with 1 more win versus Belmopan Bandits or San Pedro Tiger Sharks or if Griga Dream Ballers loses its last game versus Orange Walk Running Rebels. Griga Dream Ballers (8 – 3) – has clinched the #2 going into the playoffs. Griga can clinch the #1 seed if they win their last game versus Orange Walk Running Rebels and if Verdes loses their last 2 games versus Belmopan Bandits and San Pedro Tiger Sharks. San Pedro Tiger Sharks (6 – 4) – can clinch a playoff berth if they win 1 of their remaining 2 games versus Belize City Defenders or Verdes. Mirage/Smart Belize Hurricanes (5- 5) – can clinch a playoff spot if they win both of their remaining games versus Orange Walk Running Rebels and Belize City Defenders or if Belize City Defenders loses 1 of their remaining 2 games versus San Pedro Tiger Sharks or Mirage/Smart Belize Hurricanes. Belize City Defenders (4 – 6) – can clinch a playoff berth if they win their remaining 2 games versus San Pedro Tiger Sharks and Mirage/Smart Belize Hurricanes. Belmopan Bandits (3 – 8) – has been eliminated from playoff contention. Orange Walk Running Rebels (1 – 9) – has been eliminated from playoff contention. Below are the standings where teams are ranked based on the points they have accumulated so far. The variation in standings is due to the fact that all teams have not played the same number of games. All scores, standings, player statistic and team statistic can be found on our webpage at neblbelize.com Upcoming games are below.